On October 21st the soundtrack to WWE 2k15 was released. World Wresting Entertainment superstar John Cena is a featured guest on the album. 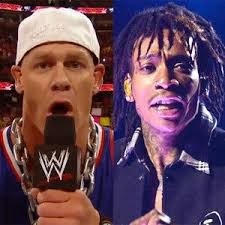 John Cena has joined forces with Taylor Gang's Wiz Khalifa on a two tracks on the album called "All Day" and "Breaks". Other artists featured on the soundtrack include rappers B.O.B., Future, Nas and more. The WWE 2k15 soundtrack is available on iTunes!